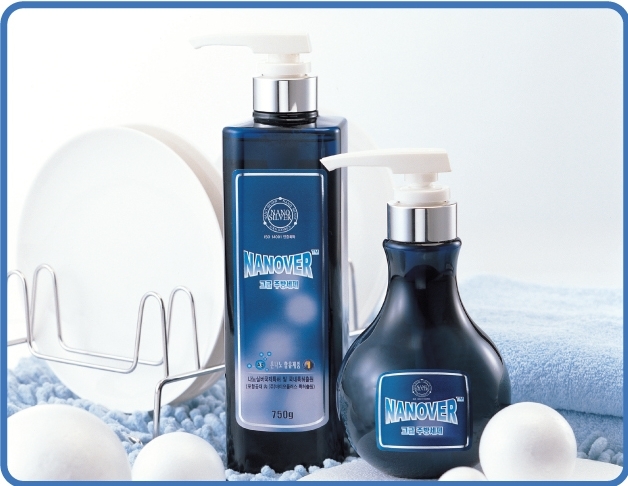 The patented Nano Silver helps kill bacteria and clean away sweat and any residue. The Nano Silver becomes infused into fabrics for continued odor-fighting capabilities. * Contains Nano Silver, natural orange extract. * Economical Detergent (High Concentrated). * Eliminates germs and bacteria on the laundry. * Easily breaks through tough grease. * Removes sweat, hidden dirt and any residue. * Dissolves quickly, completely even in cold water. * Eliminates the problems with powdered brands. * Is tough on grease and not damage fabric. 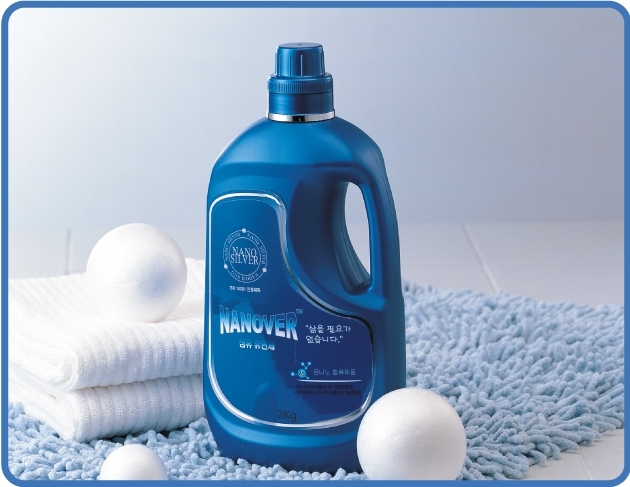 Nano Silver Dishwashing Detergent contains a patented Nano Silver along with natural high-quality ingredients. It helps helps kill bacteria that live on the dish and cause bad odors. It is effective and safe to use for washing not only dishes but also fruits and vegetables. * Economical Detergent (2X Concentrated). * Eliminates germs and bacteria. * Eliminates strong cooking odors. * Busts away stuck-on food in cold water. * Removes unseen food residue. * Is formulated for sensitive skin. * Is tough on grease and mild on hands. * Ideal for washing dishes, vegetables and fruits. 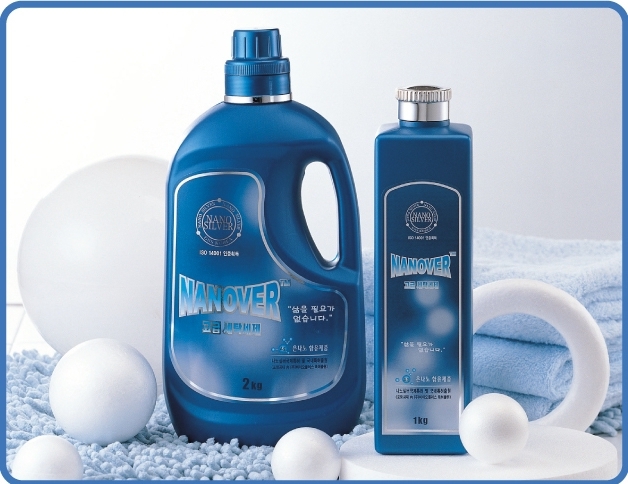 Nano Silver Fabric Softener & Whitening Effect is formulated to make your fabrics feel wonderfully soft and fresh with less static and fewer wrinkles. The product contains a patented Nano Silver along with natural high-quality ingredients. The patented Nano Silver infuses silver nanoparticles into fabrics for antibacterial protection that lasts over time. Fabric Refreher is released into the water where it’s infused into fabrics for fresh, soft results, incredible natural scent. * Fabric Softener plus Whitening Effect. * Contains nano silver and natural extracts. * Infuses silver into fabrics for antibacterial protection. * Eliminates germs and bacteria on the fabrics. * Helps reduce wrinkles versus leading regular detergent alone. * Softens fabrics and freshens with an incredible scent. * Economical Fabric Softener (High Concentrated). Add fabrics softener to your washer drum during the rinse cycle. Simply add fabrics softener to the fabric-softener tray.